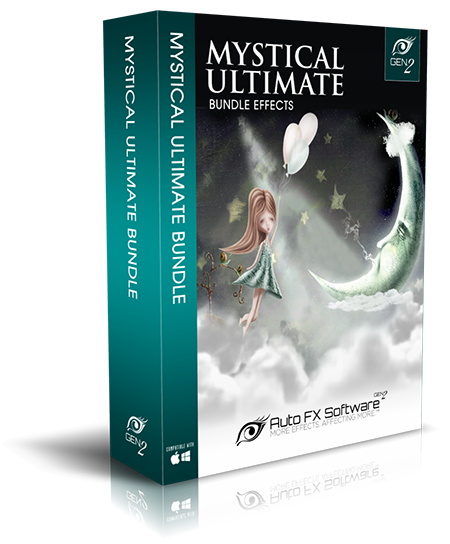 The Mystical Ultimate Bundle Gen2 is an integrated bundle of products that work together to overcome the most common challenges encountered with many of the issues with post production digital photo enhancement. 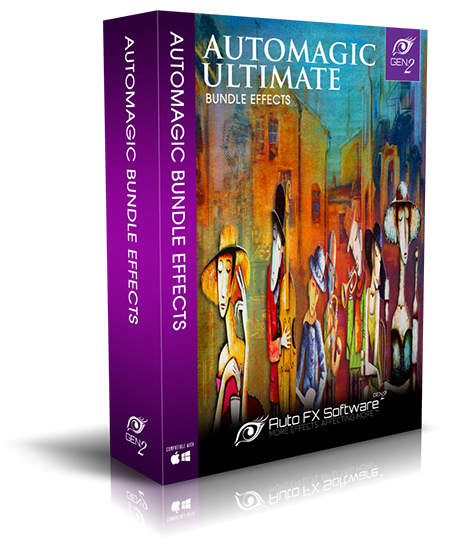 The Mystical Ultimate Bundle Gen2 includes over 100 dynamic filters, any of which can be stacked and combined together to form an unlimited number of professional photo enhancements. Apply color toning, focal effects and lighting and discover how powerful this concept is when used in a dynamic environment. Each program in the suite is available under the Select AFX Effect menu. As you add them to your composition they appear on the Layer Palette letting you easily click to select them and control their blending and settings. PhotoGraphic Edges Ultimate Bundle Gen2 is professional grade software used to add Edges, Frames and Borders to enhance the finished version of your digital images. 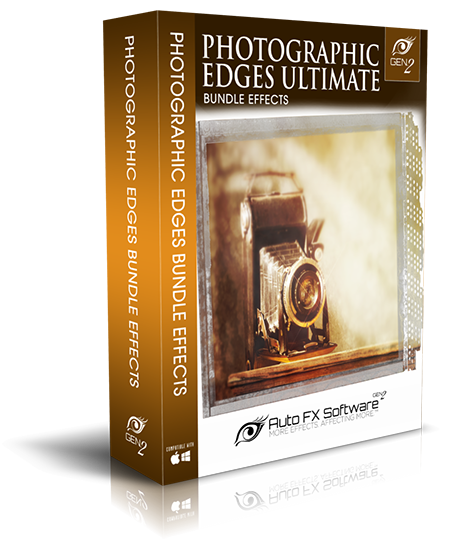 Currently, PhotoGraphic Edges Ultimate Bundle Gen2 contains 32 effects categories. Included in the new PhotoGraphic Edges Ultimate Bundle Gen2 is a vast collection of Film Frames, Darkroom Effects, Grunge Edges, Natural Media Borders, and dozens of other new styles with over a thousand pieces of new creative content. We have also created over 300 pre-made layouts and instant effects to get moving quicker. Other new features include new Storyboards and provide the ability to Brush-On Edges. DreamSuite Ultimate Bundle Gen2 contains 36 powerful Graphic Effects that allow anyone, professionals or novices alike, to create beautiful graphic images and digital artwork. 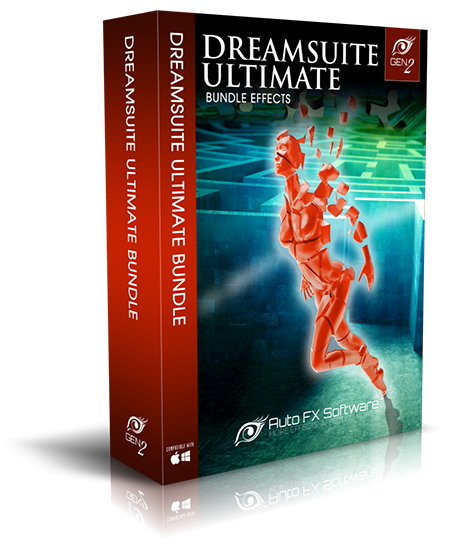 DreamSuite Ultimate Bundle Gen2 lets you achieve visual results that are difficult or impossible to attain using any other software. We have added over 750 ready-made presets for each product for all three categories included in this photo enhancement software solution. This is the perfect blend of specialized graphic effects for those waiting to enhance their digital images, as well as a collection of the best layer style tools for Graphic Artists and Web Designers. Create digital art out of digital photos at the touch of a button. Digitally paint with oils and acrylics, draw with a pencil or pens, and sketch complicated, detailed works of art without even knowing how to use these artistic mediums. Easily mount your final images for a real professional canvas or heavy art paper. For the photo hobbyist, they can now take their favorite digital photos and convert them to the art medium of choice and have them processed at their local photo lab. Professional Studios can transform your clients unique Family Beach Portraits or Seasonal Christmas Photos into works of art they could only dream to have. A real artist can use these digital art supplies to see more clearly what is possible with their drawing or painting. Discover the final artwork and how it should look when using a real-world situation like a digital image from a landscape or a portrait. Transform those special memories into artwork for that personal, professional touch and hang on the wall with pride. Support has ended for the following software programs below. GRFX Studio Pro is the newest product designed to revolutionize the functionality of these following programs. AUTO FX DOES NOT SUPPORT THESE TWO GEN2 PRODUCTS ANY FURTHER.